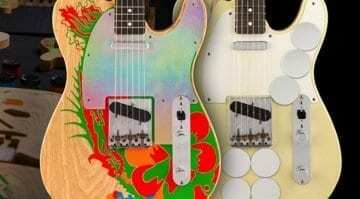 These Telecasters are probably two of the most iconic guitars in the history of rock. Jimmy Page’s customized guitars were, to quote the man himself, the “excalibur” on the creative journey toward the sound of Led Zeppelin’s legendary debut album. Fender has now issued a Custom Shop recreation of two guitars from the early days of Led Zeppelin, accompanied by a psychedelic video in which Jimmy Page tells that story in his own words. 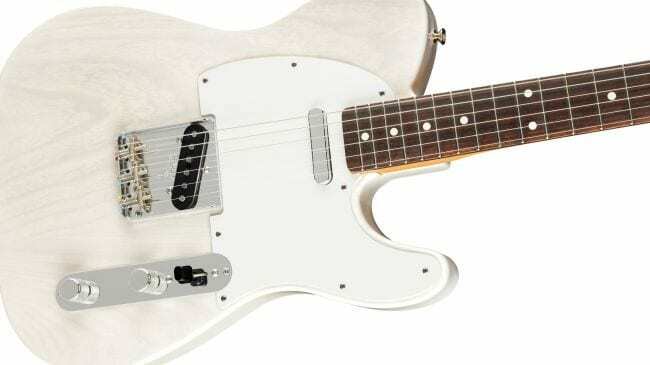 The new that Fender is to produce two versions of Mr Page’s famous Telecaster was possibly the biggest news from Fender at Winter NAMM this year. Originally, the guitar was given to Page by Jeff Beck, his fellow member of the Yardbirds. But Page eventually decided to form his own band and record an album. That band turned out to be Led Zeppelin and this guitar can be heard all over their debut album, Led Zeppelin I. Guess what: the album celebrates its 50th anniversary this year. 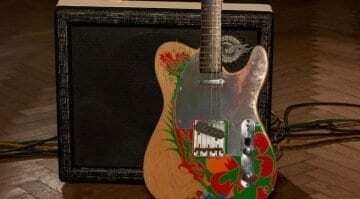 The Fender Custom Shop replicas of the Dragon and Mirrored versions of the Telecaster are both due out now. A new video, released today, tells the story of how it all began. To celebrate the 50th anniversary of Led Zeppelin I, Fender is producing 50 Custom Shop guitars, each built by Fender Master Builder Paul Waller. Page was heavily involved in the aesthetic design of each model, and each guitar is signed by Mr Page. Both of these models have two-piece ash bodies, Custom Shop hand-wound ’58 single coils, a ’59 top-load Tele bridge and a tinted maple ‘Oval C’ neck profiled from Page’s original guitar. They also share the same 7.25”-radius rosewood fingerboard, custom flight-case and straps as well as coiled cables. Plus, the Dragon version also ships with a violin bow. Fender is also releasing a standard non-Custom Shop model. This one is a ’50s-style Tele with a two-piece body, top-loader bridge, custom single coils and a nitro cellulose lacquer finish. It comes in a vintage-style tweed case with eight round mirrors and black coil cable. So if you are on a budget and desperate to get your hands on a JP Tele, you may want to get one of these. There is also a Mexican version of the ‘Dragon Telecaster’, which is a lot cheaper and has similar specs but a screen printed ‘dragon’ graphic. That one is due out in the summer, though, so you’ll have to wait a while longer for it. If you are in New York this summer, make sure you visit the Play It Loud exhibition, as many of Page’s original guitars are on show there. 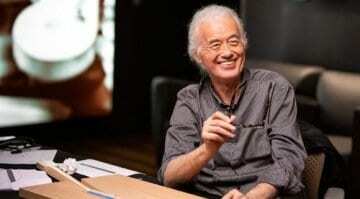 Fender Jimmy Page Signature Telecasters coming in 2019!